I get tons of questions about extractions from first-time clients. Extractions are included in every facial that I offer, and they are a critical part of keeping your skin clean and healthy. Extractions are the process of clearing out clogged pores—namely, comedones, or blackheads. Blackheads appear on the skin like little black dots. They are actually pores that are clogged with excess sebum and dead skin cells. This then oxidizes and turns a dark color when it is exposed to the air. (Think about what happens when you slice an apple and leave it out). Extractions can also include the clearing of pimples and pustules. How do you do extractions? That is commonly the next questions new clients ask me. 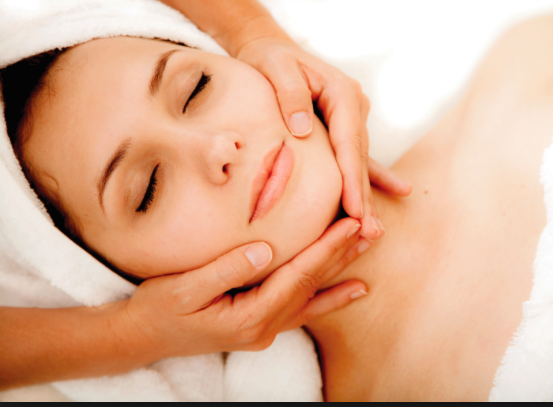 During any facial, your esthetician will thoroughly cleanse your skin. She may also use a gentle plant enzyme with a steam treatment to soften your skin and make it easier to clear the impacted pores. A large magnifying glass with a bright light will help your esthetician see which pores need to be cleared. Some estheticians perform extractions either by applying gentle pressure with their fingers on either side of the pore, and/or a special metal tool specially designed for extractions. Afterwards, your esthetician will apply an anti-bacterial toner to kill any bacteria on the skin that may cause future breakouts. I also use a high-frequency current to further clear the skin of any bacteria. (It is completely painless and is applied with a cooling gel). Your esthetician will then apply a soothing mask to calm the skin. Can I Do My Own Extractions at Home? Leaving your extractions to your esthetician is a critical part of keeping your skin clear and healthy. It is so obvious to me when I see a client who has tried to do his/her own extractions. Frequently there is scabbing, scarring, and actually an increase of acne and/or blackheads. One of the main causes of this is the client unknowingly spreading bacteria when he/she does an extraction, which then seeps into the surrounding pores. Depending on the amount of extractions you need, it may take a series of facials to completely clear your skin. If you are interested in a skin consultation or scheduling a facial you may contact me here at Jennifer Clark Skincare.